Some of those chemicals are toxic in certain quantities and potentially harmful if ingested too frequently. Here, I provide personal experience along with a concise literature review of the relevant properties and known toxicity of each additive cited. For the purpose of this post, it’s relevant to point out we will be using the color code used by BD Brand Vacutainers, a widely used supplier. Other brands may use different color codes. Pay attention and know what you’re getting, other brands not mentioned in this article may use a different color code and contain materials that should not be ingested. 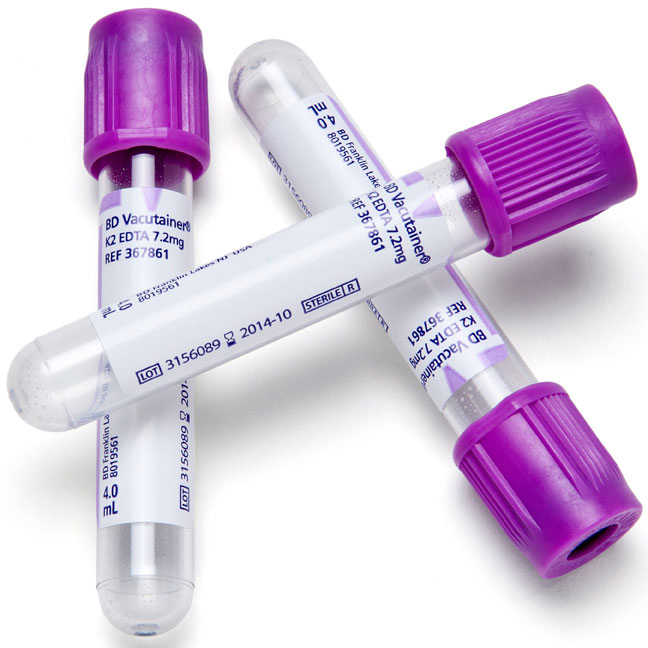 Blood is drawn into vacutainers without additive. The major disadvantage of using a no additive tube is that drawn blood will coagulate rapidly and the contents of the vial must be ingested quickly. The main advantage, however, is the peace of mind of getting additive-free blood, with no toxicity concerns or possible interactions or alteration of the blood by the chemicals. Safety: No additional risks beyond the expected risks associated with the ingestion of blood. Unfractionated heparin and low molecular weight heparin are the most commonly used antithrombotic and thromboprophylactic agents in hospital practice. It is also used to form an inner anticoagulant surface on various experimental and medical devices such as test tubes and renal dialysis machines. Safety: No known toxicity, inactivated by digestion, generally safe. Word of caution: Pharmaceutical-grade heparin is derived from mucosal tissues of slaughtered meat animals such as porcine (pig) intestines or bovine (cattle) lungs. There have been recalls of commonly used injectable heparin due to risks of bacterial contamination. It is not known if the risks are lower or higher with spray coated heparin in collection tubes. Blood preserved with heparin tends to separate [n1.5]. when left static and will eventually start to form clots after 4/5 days. Sodium citrate is chiefly used as a food additive, usually for flavor or as a preservative. Its E number (a code for food additives) is E331. Sodium citrate is employed as a tart flavoring agent in certain varieties of club soda and commercial ready to drink beverages and drink mixes. Sodium citrate is common as an ingredient in bratwurst, ice-cream, jams, sweets, milk powder, processed cheeses, carbonated beverages, and wine. In 1914, the Belgian doctor Albert Hustin and the Argentine physician and researcher Luis Agote successfully used sodium citrate as an anticoagulant in blood transfusions. 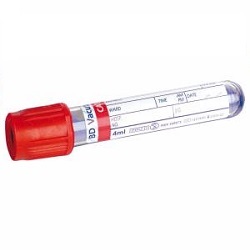 It continues to be used today in blood collection tubes and for the preservation of blood in blood banks. The citrate ion chelates calcium ions in the blood by forming calcium citrate complexes, disrupting the blood clotting mechanism. Safety: Generally safe. Sometimes used to preserve animal blood for cooking. Contraindication for people with impaired renal function. Note: Sodium Citrate does add a tart, slightly salty flavor to the blood and for this reason, may be less preferable to the person ingesting the blood than tasteless additives. 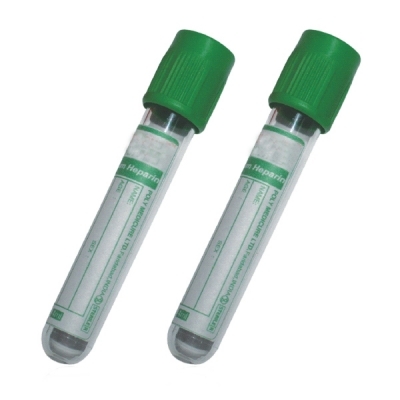 Sodium Citrate vacutainers must be inverted 3-4 times, gently (Vigorous mixing or shaking of a specimen may cause hemolysis, which means rupture or laceration of the cell walls. There is some indication that preservation of intact red cells is relevant for our purpose, though there is no conclusive evidence I’m aware of to support this). Ethylenediaminetetraacetic acid, widely abbreviated as EDTA is a chelating agent (a substance whose molecules can form several bonds to a single metal ion) that is widely used by various industries. Various forms of EDTA are used as ingredients in cosmetics, pesticides, household disinfectants, laundry detergent, eye drops and are frequently added to food as a preservative. In laboratories, EDTA is used extensively in the analysis of blood as an anticoagulant for blood samples for CBC/FBEs. An important use of EDTA is in the treatment of heavy metal poisoning (lead and mercury) and in the treatment of excess iron in the blood. Injected intravenously, once in the bloodstream EDTA traps lead and other metals forming a compound that the body can eliminate in the urine. K2 EDTA is available in a spray-dried form, which does not introduce dilutional effects on small sample volumes. It is associated with a less pronounced osmotic effect on blood cells than K3 EDTA, but it appears to be associated with more complaints regarding blood clotting. 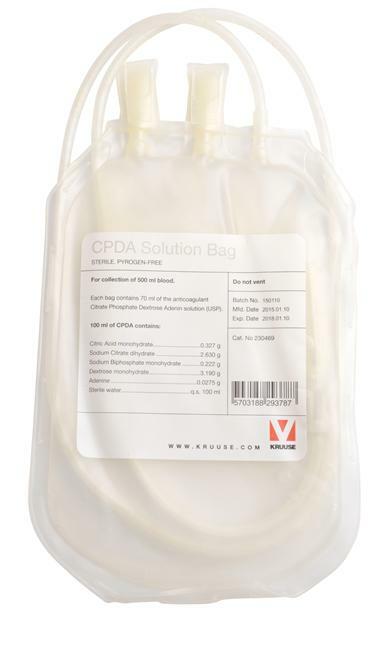 In fact, as K2 EDTA is dispensed as a powder on the inside walls of the vial, primary tubes containing this additive may need to be properly mixed to allow a complete miscibility between the blood and the anticoagulant. Studies published by the The International Council for Standardization in Haematology and NCCLS show morphological alterations to the blood cells are more pronounced when K3-EDTA is used than K2-EDTA [n3]. We may want to take this into consideration. Basically, K3-EDTA osmotically shrinks the red cells, and being liquid rather than a salt spray, dilutes the sample. Further dilution expands the red cells to normal size during medical analysis which is why the effect is often considered negligible, but seeing as we’re skipping the laboratory analysis and guzzling it instead, I’d go with Dipotassium EDTA. While the CLSI US Standard for Venous Blood Collection declines to differentiate between K2-EDTA and K3-EDTA as separate options for use as an anticoagulant [n2], the International Council for Standardization in Hematology currently recommends K2 EDTA as the anticoagulant of choice for hematological testing. This indication has been widely acknowledged in Europe and Japan, whereas K3 EDTA is still frequently used in the United States and the United Kingdom. By binding to the calcium in blood, EDTA effectively prevents the coagulation cascade and irreversibly prevents blood clotting so it will always remain in a fluid state. Some proponents of alternative medicine claim that EDTA, particularly calcium Disodium EDTA, when taken orally acts as an antioxidant and helps fight cardiovascular diseases and improves blood flow. However, these ideas not yet conclusive, and seem to contradict some currently accepted principles. The proposed health benefits of oral chelations therapies have not been proven to be effective (Green 2009). An example of a product sold as an oral chelation therapy consisting of a “Proprietary blend of 3 types of Sodium based EDTA, which are all food-grade amino acids” is [n4]. Their pills are sold in 450 mg doses, with the recommended daily dose for the first two weeks being 2.7 grams per day. Meanwhile WebMD states that “It is UNSAFE to use more than 3 grams of EDTA per day, or to take it longer than 5 to 7 days. Too much can cause kidney damage, dangerously low calcium levels, and death.” [n5] For comparison, a standard EDTA vacutainer will contain up to 10 milligrams of k3EDTA. One would have to consume 300 vials in one day to consume 3 grams of EDTA. This report: http://gov.personalcarecouncil.org/ctfa-static/online/lists/cir-pdfs/FR285.pdf is a mine of information on EDTA toxicity, both oral, intravenous and cutaneous. It summarizes pretty much all of the human and animal studies performed on the toxicity of EDTA for the past 20 years. Here are the most relevant points for the purposes of consumption. Continued use of oral EDTA has been shown to result in a loss of necessary trace metals, such a zinc and calcium, which can lead to complications and heart disease. The CIR Expert Panel recognized that oral exposures to EDTA produced reproductive/ developmental toxicity in test animals. Demineralization of teeth was also observed. Oral use of EDTA in humans has never been studied in a large group of people and over a long enough period of time to determine the safe dose and the extent of resulting trace element deficiencies. The information available on oral toxicity of EDTA on animals is sometimes conflicting. The long-term toxicity of EDTA is complicated by its ability to chelate essential and toxic metals, both in water and in animals. Toxicity data are therefore equivocal and difficult to interpret. There is no sufficient evidence to say that EDTA consumed regularly is entirely safe. There are serious concerns that its continued use might create deficiencies in trace metals such a zinc and calcium; damage teeth by means of demineralization and damage different tissues of the gastrointestinal tract. While the quantities present in vacutainers might not be enough to cause toxicological effects, caution should be advised. I would definitely not recommend the use of EDTA for Sanguinarians who need frequent and heavy feedings. 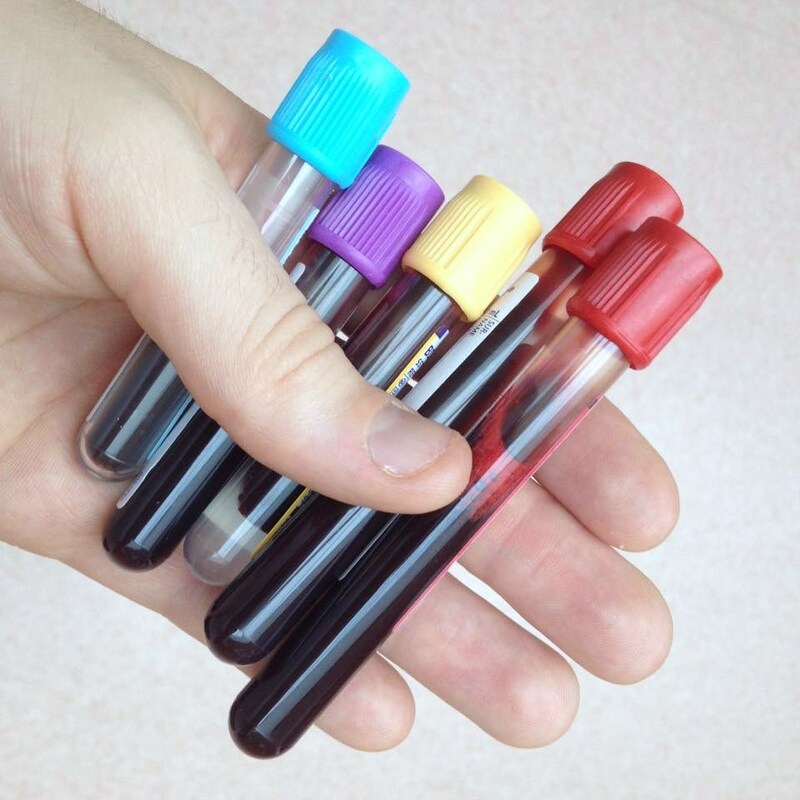 Additive most often found in blood collection bags. An anticoagulant solution, containing citric acid, sodium citrate, monobasic sodium phosphate, dextrose, and adenine, used for the preservation of whole blood and red blood cells for up to 35 days; it extends red cell survival by providing adenine needed for the maintenance of red cell ATP. Safety: Thought safe to drink. CPDA-1 has a very long shelf life but I find it to have a strong, nearly cloying taste. [n1] Any blood drawing should only be done by someone who is trained to do so or risk injury to the donor. Any individual choosing to draw blood and consume it does so at their own discretion, responsibility, and risk. Brown, M. J.; Willis, T.; Omalu, B.; Leiker, R. (2006). “Deaths Resulting from Hypocalcemia After Administration of Edetate Disodium: 2003-2005”. Pediatrics 118 (2): e534.